Sedbergh - ideal for the Lakes and Yorkshire Dales. Sedbergh is in the south of Cumbria, close to Kendal and Kirkby Lonsdale . It lies within the Yorkshire Dales National Park, at the foot of the Howgill Fells. 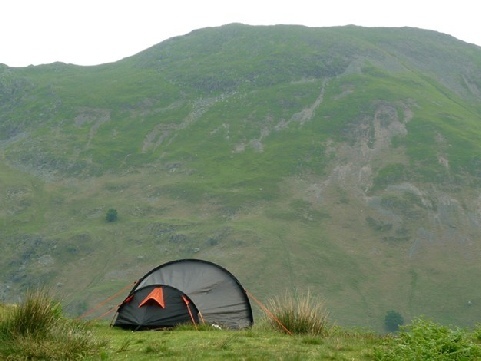 The area around Sedbergh provides a good range of camping and caravan sites as well as a great selection of attractions and things to do. Check out the key information on the right and then explore the Sedbergh camping and caravanning sites listed below. Attractions in Sedbergh: It styles itself as “England’s book town in the Yorkshire Dales” due to the high number of bookshops in the town. It's position makes it an ideal base for holidays both in the Yorkshire Dales and the Lake District. To the west lies Kendal has a range of attractions on offer including Abbot Hall, which has an art gallery and also houses the Museum of Lakeland Life. There are also several historic houses in the area, such as Levens Hall and Sizergh Castle. There are a great range of shops and places to eat in Kendal.